- Great for all types of picture hanging needs from large artwork, heavy mirrors, photo walls to anti theft hanging systems. - Our professional installation staff will come to your location in the Boston/ Metro West area. - We bring all the ladders and necessary hanging hardware. - We offer adjustable hanging track systems for artwork that needs to be changed frequently without making holes in the wall. 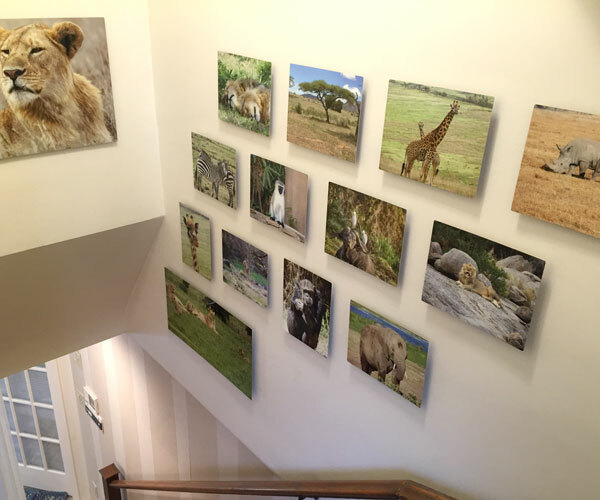 - We make sure your artwork is in the best position in your home or office, both structurally and aesthetically. - Rates start at $125 and vary depending on location of installation.